The skies shouted it to the seas that thundered it to the waves that roared it to the great white whales that sang it to the starfish in the deep. And tiny sandpipers danced it on shining sands... "It's time It's time " On one quiet night, creation whispered a secret. Grass and bees, robins and trees all spread the word. Sheep told their young while angels sang the song to the shepherds. Hushed news of a miracle echoed to the ends of the earth. The moment had come. The long-awaited child had arrived Creation cried out in celebration, but only a few people heard. Only a few joined nature's chorus, a song in praise of the newborn King. 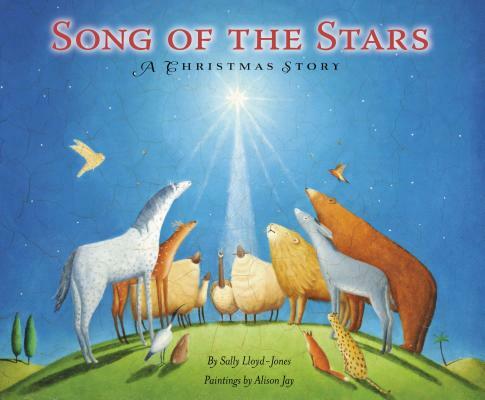 Sally Lloyd-Jones is a leading writer of inspirational books for children, with an expertise in conveying biblical truth to young children. She is the author of three bestselling children's Bibles, including the Gold Book Award-winning Baby's First Bible and, most recently, the Moonbeam Award Winner--The Jesus Storybook Bible. She has written many picture books for children, including Handbag Friends, Time to Say Goodnight and the critically acclaimed, How to Be a Baby: By Me, the Big Sister. A native of England, Sally lives in New York City and can be found at sallylloyd-jones.com.